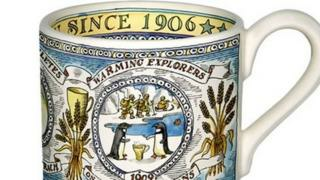 “Comforting, warming, fortifying since 1906,” is written on the promotional mug Horlicks launched in the UK last year. In Britain, the malted milk drink has long been linked to bedtime, a tipple to soothe you to sleep. In India, it’s an entirely different story. 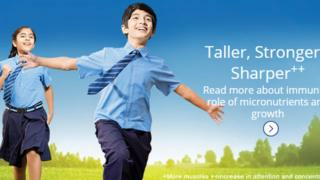 “Taller, stronger, sharper,” is at the top of the Indian website, which has lots of photos of energetic schoolchildren leaping about. In India, Horlicks is a breakfast drink, given to children as an energy boost to fortify them ahead of a long day of learning. Yet the drink’s main ingredients are exactly the same: wheat, malted barley and milk. The fact that the same liquid can be perceived in two such different ways is a great example of the “crazy nonsense and beauty of marketing”, says Andrew Welch. As London managing director for brand consultancy Landor, Mr Welch’s job is to help brands build and improve their reputation, and ultimately create higher sales. International expansion is often the only way for firms to do this. When domestic growth has stalled, other countries can provide a business with fresh customers potentially in an area with less competition or where demand for a particular product or service is higher. And of course, having a presence in more than one country ensures a firm isn’t reliant on the health of just one nation’s economy for its success. But how exactly do companies go from being a local firm based in one country to a global name? Mr Welch says how Horlicks has been marketed is a great example of how to do it, with the drink’s attributes emphasised in different ways to appeal to specific audiences. The drink has significantly boosted its owner, drugs giant GlaxoSmithKline’s, non-pharmaceutical sales in India. “You can’t cookie cutter your brand around the world. This is an organisation which has gone beyond its home market and managed to stay relevant,” says Mr Welch. Or, to use the industry lingo, “global is out” and “multi-local” is in. But it’s not easy. Online auction site eBay is one of the world’s best-known firms, boasting 167 million active buyers and reporting just shy of $9bn (11.4bn) in revenues last year. Yet when it first tried to launch in China it failed. The difficulty of competing with local rivals meant that in 2006, a mere two years after entering China, it was forced to admit defeat and shut down its main website in the country. Instead it formed a joint venture with a local partner to help operate an online auction business in the country. 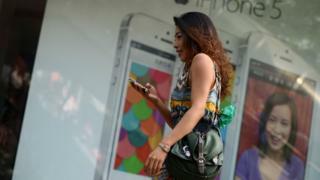 Critics say it failed to recognise that having a strong US brand would not automatically translate to success in China. 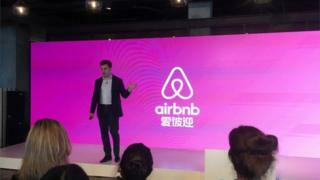 Home rental site Airbnb is already trying to avoid that mistake, recently rebranding itself as “Aibiying” in China. The name translates as “welcome each other with love”, and the company reportedly said it would be easier for Chinese people to pronounce. One of the frequent criticisms of globalisation is that it is eroding countries’ distinctive differences, making cities everywhere look more and more similar. From Germany to the United Arab Emirates to China you can visit the same shops, buy the same furniture, eat the same food, watch the same programmes and listen to the same music. Chris Hirst, European and UK group chief executive of advertising agency Havas, says firms expanding overseas have to overcome people’s natural antipathy to this. 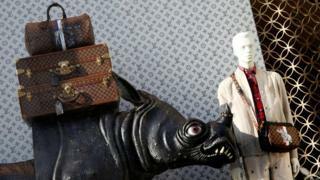 The one exception to this is luxury firms, such as Louis Vuitton or Hermes, who can get away with less local differentiation because their foreignness is part of what makes them desirable, he says. At the other end of the scale, firms such as fast-food chain McDonald’s may appear the same in whichever country you go to, but actually works hard to localise its branches, he says. He notes the firm differentiates some menu items to fit in with the local cuisine and tends to source ingredients from the host country. But the number of potential countries a firm can now reach has made it harder. In the 1990s, going global simply meant expanding into western Europe and north America, now countries such as India, China and Russia are all in play, says Mr Hirst. In fact, many of the areas that will generate the most growth in future are currently unfamiliar in the West, according to management consultancy McKinsey. It predicts about 400 midsize emerging-market cities will create nearly 40% of global growth over the next 15 years. “Increasingly, global means global,” says Mr Hirst. In some ways advances in technology have made this easier, enabling firms to be present around the world, even in places where they don’t have a physical presence. The latest annual ranking of the world’s most valuable brands by consultancy Interbrand is dominated by tech firms. Apple and Google came top for the fourth year in a row. Simon Cotterrell, head of strategy at Interband, says that as well as needing to invest less in infrastructure when they expand, their success is also down to the simplicity of their business models. In the end, what determines global success for all firms is the same thing that drives success in a company’s home market, he says. “You have to have an offer that meets the needs of that audience. Your relevance has to come back to that problem: are you solving a customer problem in that market? “It’s not brain surgery,” he says. What's Up With This Hype About Network Marketing Anyway ! ?